My husband and I had a family obligation in Trieste so we used our limited free time for a quick visit to Miramare Castle with our baby boy. 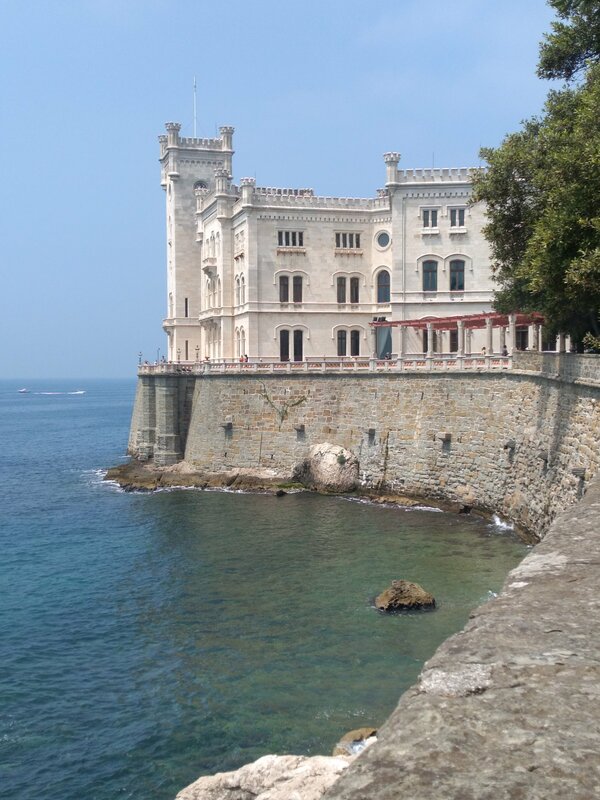 Miramare Castle is situated in the Gulf of Trieste just a short drive from Trieste’s city center along the coast. It was a hot day in June and all the beaches on the way to the castle were jam-packed. Luckily, we managed to find a free parking spot just outside the castle grounds gate. Once you enter the castle grounds anchoring, swimming or any other beach activity is prohibited because you’re in the area of the Miramare Marine Nature Reserve. We put our baby in the stroller and walked slowly to the castle. We passed by the WWF-managed visitor center of the first Italian marine park housed in the Old Stables of the castle. Then we walked slightly uphill through the park to the castle. Our walk rewarded us with gorgeous views of Miramare Castle perched on the rocks above the Adriatic Sea. 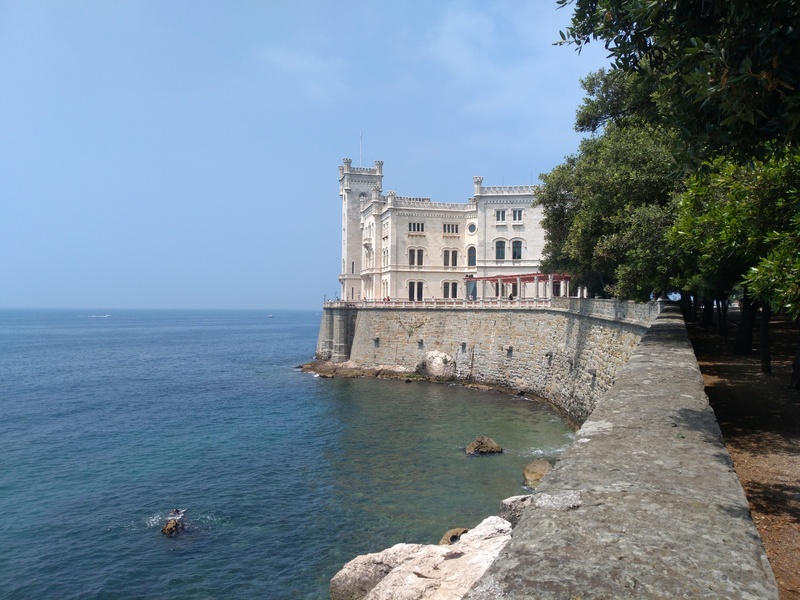 Miramare Castle (Castello di Miramare) was built in 19th century for Archduke Ferdinand Maximilian of the House of Hapsburg and his wife Charlotte of Belgium. Back then Trieste was a part of Austro-Hungarian Empire. Carl Junker designed Miramare Castle and its beautiful park following strict wishes of Archduke Ferdinand. Unfortunately, the Archduke didn’t get to enjoy his castle for too long because he was declared the Emperor of Mexico in 1864. Not long after, Ferdinand Maximilian (or Maximilian I as he was known in Mexico) was assassinated and his wife Charlotte suffered a major nervous breakdown. However, Miramare Castle continued to be visited by many members of Hapsburg family. For instance, Emperor Franz Joseph and his wife Elizabeth (Sissy) stayed in Miramare Castle during their official visit to Trieste.